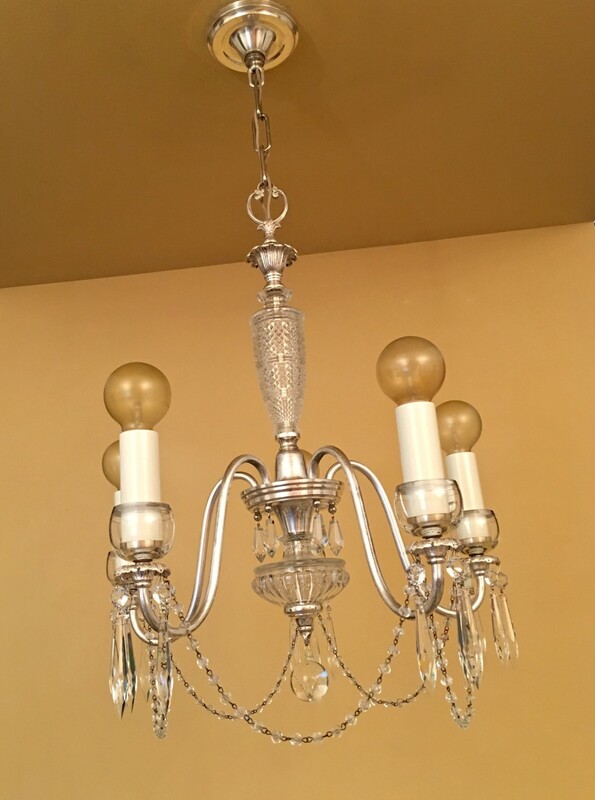 I have a great affection for crystal chandeliers from the 1930s and 1940s. 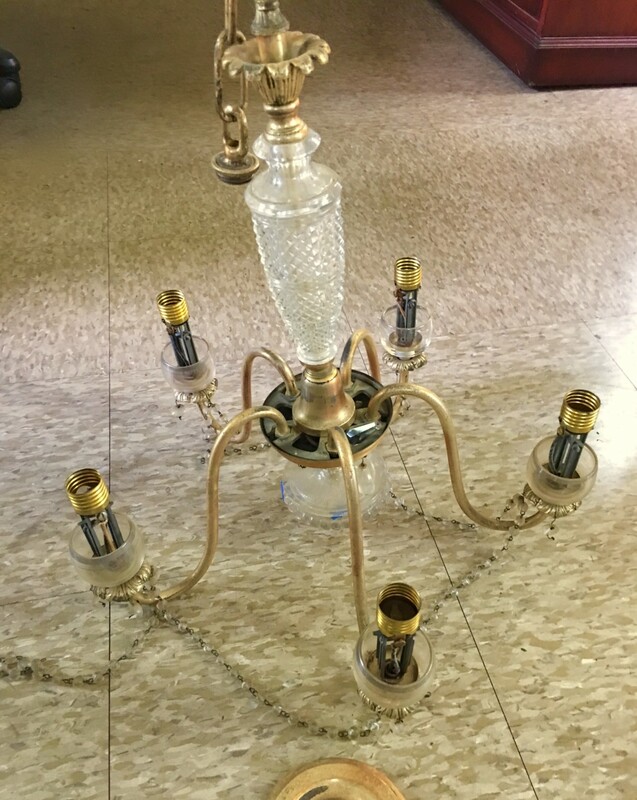 So, when I came across this chandelier, which appeared circa-1940, I had to have it. 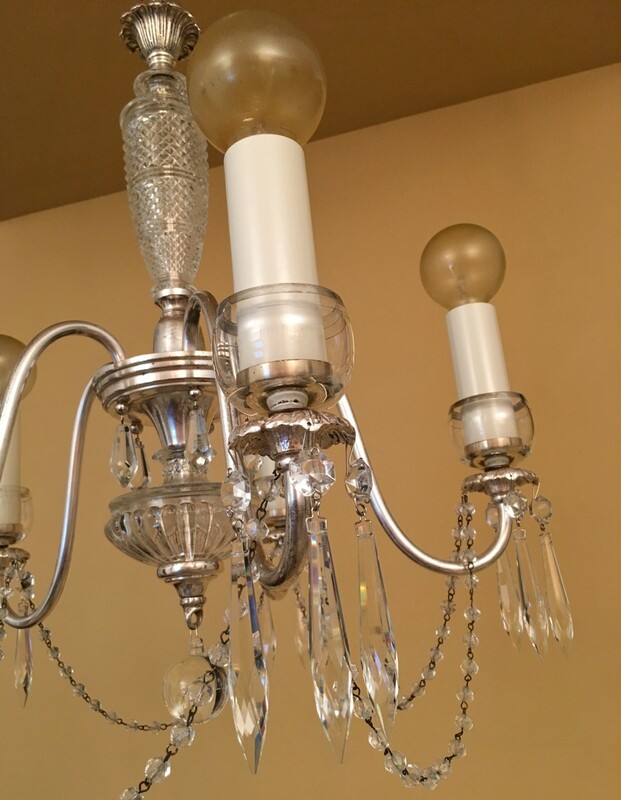 Yes, it was not much to look at, but I suspected the chandelier had…potential. I particularly love the glass cups which the candles sit in. This is a unique detail. And I do love the unique detail. Really like this one!! WOW!! Wonderful post!! 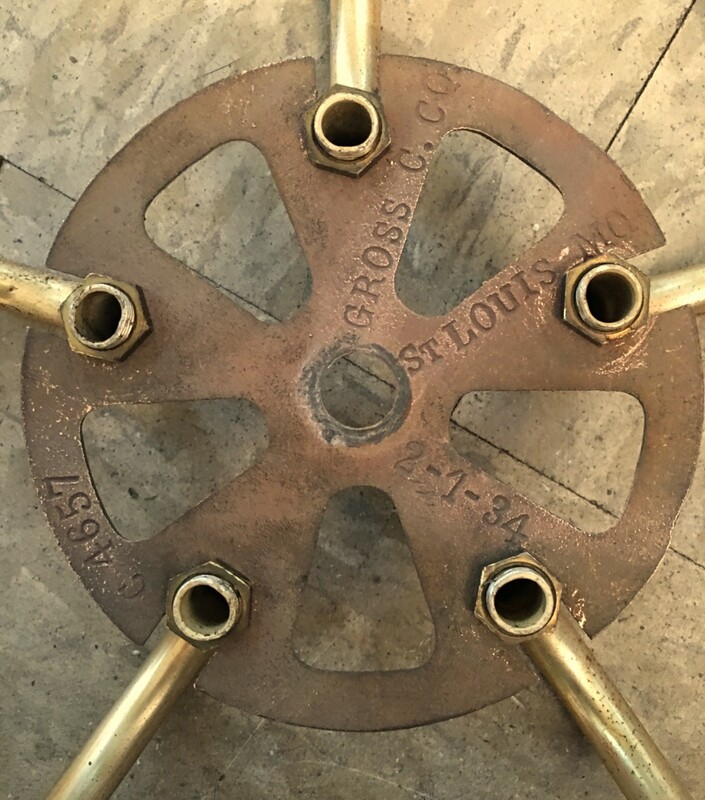 I love the excitement of finds like the ID plate! Your blog is so fun! !